Trump threatens to cut subsidies for GM. President Donald Trump threatened to cut subsidies to General Motors on Tuesday, one day after the Detroit automaker announced it was laying off 14,000 workers in North America and closing seven plants worldwide, including four in the U.S.
On Monday, GM announced it would cut 15 percent of its global workforce and streamline production by eliminating models that were unpopular. The move comes amid a general backdrop of record high car prices, higher interest rates, slowing demand for sedans in favor of sport utility vehicles and slowing sales for the auto industry as a whole. Tariffs and trade tensions have also disrupted the car industry -- GM said the trade practices had caused a $1 billion loss for the company. Trump wasted no time attacking GM after the news that the U.S. plants that were on the chopping block were Detroit-Hamtramck Assembly in Detroit, Warren Transmission Operations in Warren, Michigan, Lordstown Assembly in Warren, Ohio, and Baltimore Operations in White Marsh, Maryland. "Very disappointed with General Motors and their CEO, Mary Barra, for closing plants in Ohio, Michigan and Maryland," Trump tweeted. "Nothing being closed in Mexico & China. The U.S. saved General Motors, and this is the THANKS we get! We are now looking at cutting all @GM subsidies, including .... for electric cars. General Motors made a big China bet years ago when they built plants there (and in Mexico) - don’t think that bet is going to pay off. I am here to protect America’s Workers!" The president continued in a follow up tweet. "GM is committed to maintaining a strong manufacturing presence in the U.S., as evidenced by our more than $22 billion investments in U.S. operations since 2009," the company wrote in a statement Tuesday. "Many of the U.S. workers impacted by these actions will have the opportunity to shift to other GM plants where we will need more employees to support growth in trucks, crossovers and SUVs." The "subsidies" Trump tweeted about are the $7,500 federal tax rebate for electric cars, which every automaker gets for producing fully electric vehicles, and are being phased out for GM anyway. After automakers sell 200,000 vehicles, the tax credit is halved for the next two quarters. 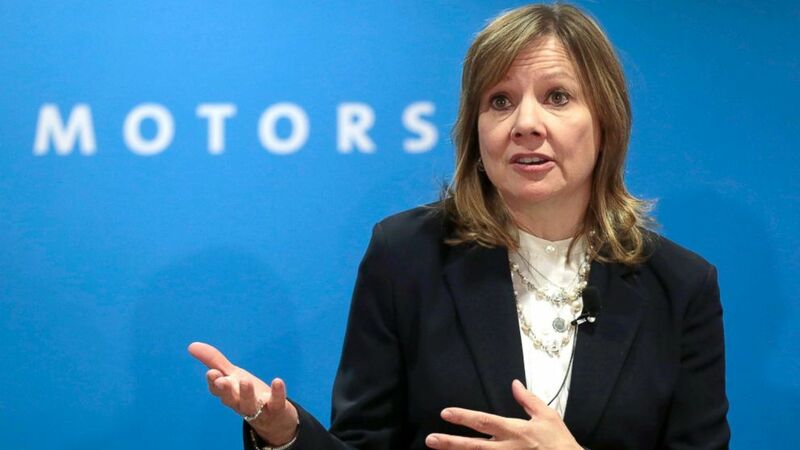 "For them to phase it out specifically to GM is so targeted," Edmunds analyst Ivan Drury told ABC News, who added that it would not matter anyway. "This year they’re going to hit 200,000 so their phase out should begin starting next year. He’s talking about a truth that’s already coming to fruition." Through October, GM had sold 196,850 electric cars, so 2019 would be the last year of the electric vehicle credit for buyers of GM cars to claim on their taxes anyway, according to an Edmunds analysis. The credit is on schedule to run out at the end of 2019, aligning with the shuttering of the GM plants. Trump would not be able to end the subsidies himself, either. "Congress would need to pass legislation to do anything to affect the remaining tax credits GM’s electric vehicles are slated to receive through 2019," a Republican aide told ABC News. "Not aware of anything that the president could do from a regulatory standpoint that would limit GM’s ability to take advantage of those remaining credits," the source said. A Democratic aide told ABC News: "It's a part of the tax code. In order to change it, Congress would have to pass legislation." The tax rebates are not exclusive to GM -- Tesla was the first to hit 200,00. Tesla vehicles delivered from Jan. 1 to June 30, 2019, are eligible for a $3,750 tax credit, while those delivered from July 1 to Dec. 31, 2019, can get a $1,875-tax rebate, according to Edmunds. (Rebecca Cook/Reuters) General Motors Chairman and CEO Mary Barra speaks at GM's press conference at the North American International Auto Show in Detroit, Jan. 16, 2018. "I think there’s a tremendous amount of disappointment even spilling into anger," Kudlow said. When asked whether there’s any consideration of taking steps to help the 14,000 workers being laid off, akin to the subsidies for farmers hurt by Chinese tariffs, Kudlow said GM CEO Mary Barra had told him there is talk of shifting at least some of the workers to other plants in Texas or Michigan. Kudlow added he wouldn’t rule out possible further actions to "ameliorate" the issue.